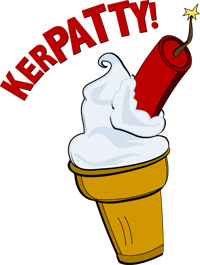 Sketch duo Kerpatty asked me to draw a cartoon ice cream cone with a stick of dynamite in it. And that is what I did. 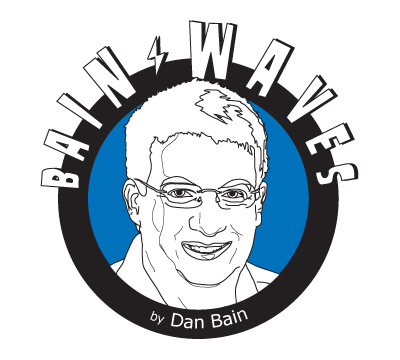 My friend Dan (”Clam T”) Bain from back in Raleigh, NC asked me to do a little line drawing portrait of him for the humor column he writes (”Bain Waves”) some time ago.